Perfect for arranging your own coffee set on, this birch wood tray featuring an image of Pierre Bonnard’s 1915 painting, Coffee has been created exclusively for Tate to celebrate The C C Land Exhibition Pierre Bonnard: The Colour of Memory. In Coffee 1915, Bonnard captures a relaxed moment in time at the kitchen table in his home. 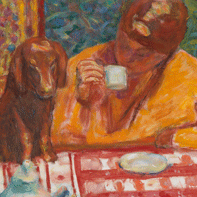 The perspective of the painting implies that Bonnard himself is seated at the table, looking towards his wife sipping her coffee, and their daschund, who sits next to her with its paws on the table. 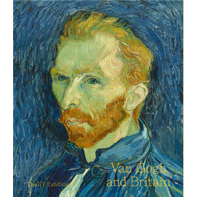 Dimensions: 28 x 36 cm. Sponge clean.